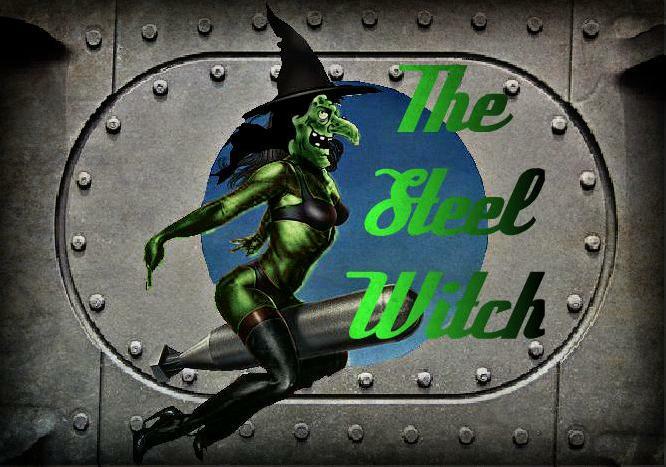 The Steel Witch is an advanced T.A.F. Scout Craft that incorporates innovative Hexisan Technology with traditional Terran design. The ship has advanced side-thrusters for complex maneuvers, intergalactic engines for distant travel and cutting edge cloaking devices to keep the ship hidden inside enemy territory. 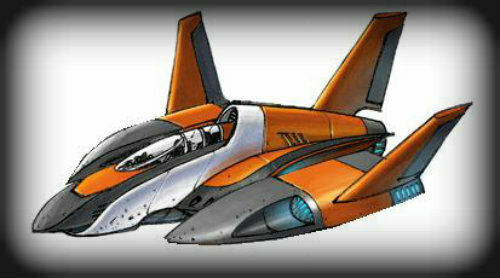 It also has a narrow aircraft shape with wings for planetary travel and T.A.F. weaponry incase of hostile encounters. The vessel was originally crafted by the T.A.F. 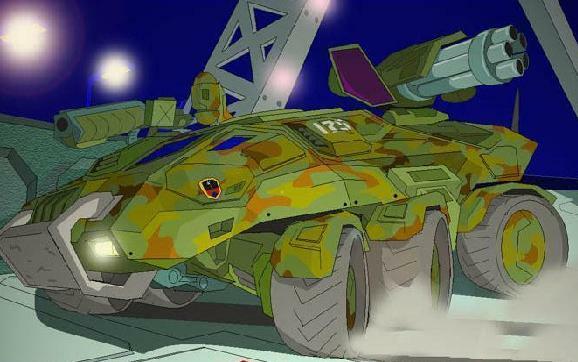 Star Force in order to explore Andromeda’s vicious atmosphere, but when the project was scrapped, the Steel Witch went into storage, nearly forgotten about for years. However, a new T.A.F. assignment would get underway and soon an unconventional Scout Craft was needed once again. Project “Bird Hunt” demanded a ship that could travel for months in dangerous environments, house a moderate size crew and have an advantage on the galactic battlefield. Before long, the ship was being removed from storage and cleaned up for its first official crew. 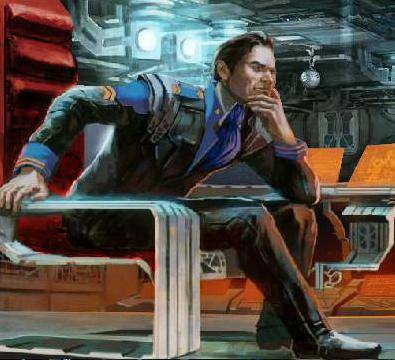 The ship is by no means a traditional craft and has thousands of capital worth of upgrades and advancements. 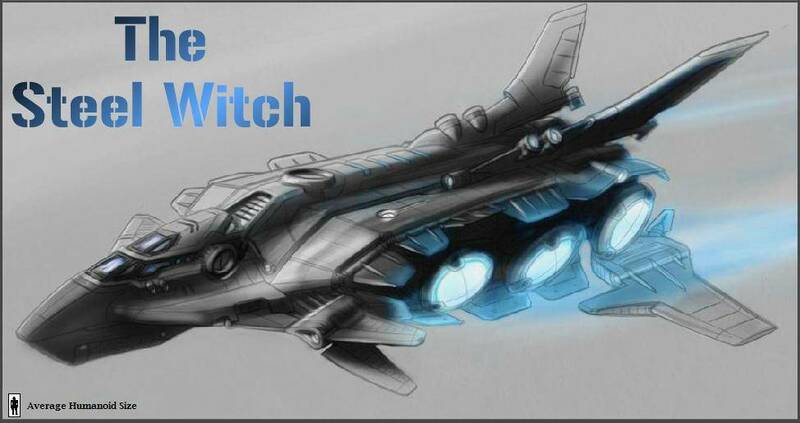 While there is still room for improvement, those flying in the Steel Witch definitely have an advantage compared to most freighters and patrol ships that travel along the Milky Way Galaxy. Those advantages don’t come free however, and the crew will have to earn their ship through traditional methods or by completing a chain of tasks for the T.A.F. Government. Some ships are known for their great speed, others, for their firepower. For the Steel Witch, nothing is more remarkable than her state-of-the-art cloaking capabilities. Using the latest in Hexisan advancements, the Steel Witch can practically turn invisible to all but the most sophisticated computers. 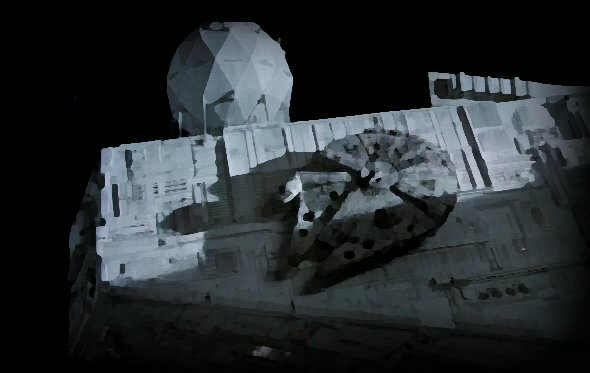 While device jammers can leave a starship undetectable to scanners, the Hexisan cloaking device actually generates a cloaking field that completely absorbs all incoming sensor scans while shielding the ship in emissions of reflected energy, thus rendering it concealed to both technology and the naked eye. Only Gravitational Trackers are able to detect the Hexisan Stealth Generators by tracing gravitational fluctuations created by the large mass in space (certain psychic means can also track stealthed ships). 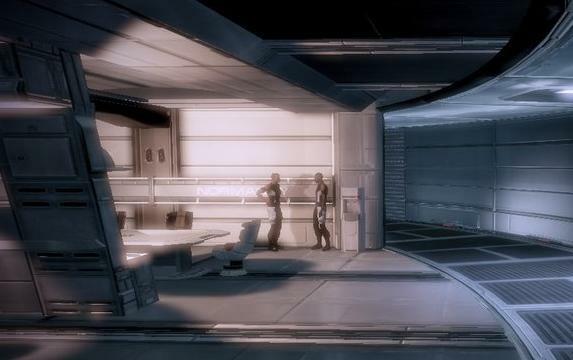 However, the disadvantage of users triggering the stealth generator is that the ship becomes drained of energy, causing many ships to shutdown most of their basic functions. Communications, combat operations and sensor sweeps are also disabled on the Steel Witch due to the cloaking field’s force. The cloaking device is intended to be used only during the most desperate of times when fight or flight is not an option. The Steel Witch’s top deck is where most of the crew resides. 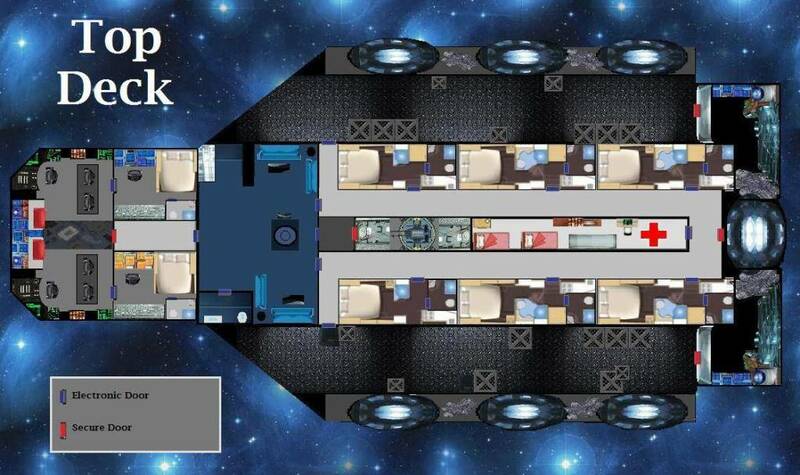 It has the cockpit, flight deck, Captain/Co-Pilot Quarters, Lounge, Main Hallway, Turret Room, Crew’s Quarters, Sick Bay, Side Decks and Engine Room all inside it. 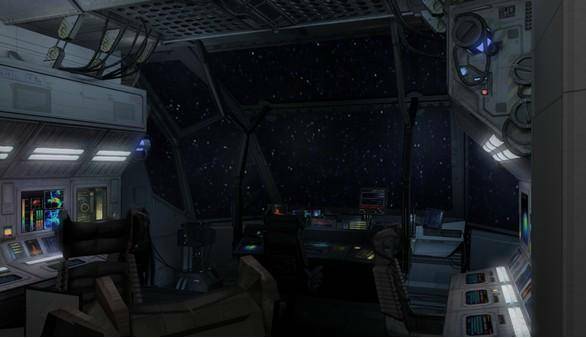 The top deck also is home to the main engine, side thrusters and a basic cleaning droid. There are several secure doors that the Captain can keep locked or unlocked either through the cockpit or by command. 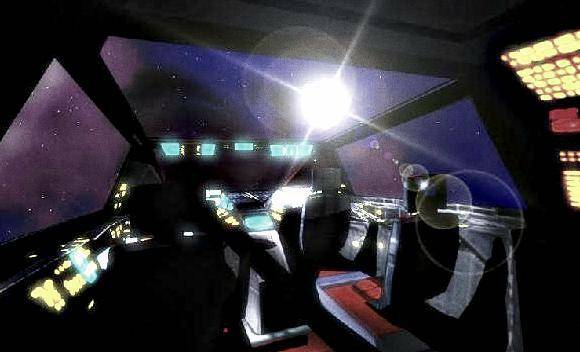 The ship’s main AI, “Broom-Hilda”, also has her home nexus within the flight deck. The cockpit is the brain of the Steel Witch and houses most of its command equipment. It’s located within the nose of the ship, well armored by titanium armor plating. Not only does two-man compartment fly the ship, but it also houses the configurations for the entire vessel. Touch-link screens litter the counsel in front of the comfy pilot/co-pilot chairs that help monitor the going-ons of the craft. A large set of vacuum sealed windows climb in front of and above the cockpit, giving a full view of where the ship is headed. Only the Captain and Co-Pilot have permission to use the computers there. Anyone who does not receive permission from the Captain to control the ship will automatically be electronically blocked by the ship AI. Outside of the tight cockpit is the flight deck which is decorated with side computers and seating for the rest of the crew. If enabled, the side computers can allow other crew to help navigate, monitor ship cameras and conduct data research. There are also side windows which allow the crew to watch where the ship is headed. The AI, “Broom-Hilda” also keeps her main nexus hardware within the flight deck’s computer shelving and can be manually turned off from nearby levers if necessary (IE conserve power, reset incase of malfunction). The Flight deck sits behind the cockpit and in front of an armored wall that holds three doors. 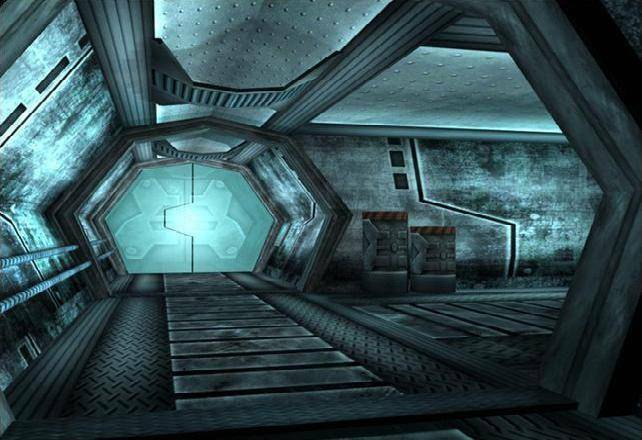 Two of the side doors lead to the Captain and Co-Pilot’s quarters, while the third, leads to a vacuum sealed hallway that heads into the lounge. The Captain’s and Co-Pilot’s Quarters are located just behind the flight deck. The close proximity of both rooms to the cockpit allows both the Captain and Co-Pilot to remain linked to the ship’s mainframe even when resting. That’s because both rooms have a computer workstation which is linked to the cockpit computer within their quarters. All sensors, flight patterns, navigation processors and even the AI can be managed through their workstation monitors (though they can not manually pilot the ship from the node). 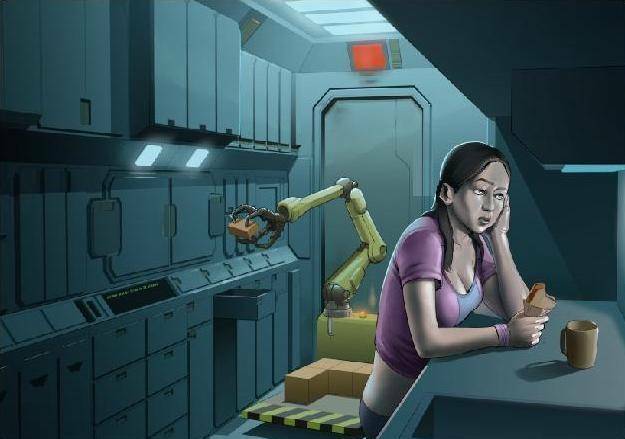 Only the Captain and Co-Pilot’s bio-scan (palm and eye) can access the workstations, making it impossible for other crew members to retrieve data from within the chambers. While the Captain can override the Co-Pilot’s computer in case of emergency, the Co-Pilot is unable to supersede the Captain’s security measures, even during crisis. 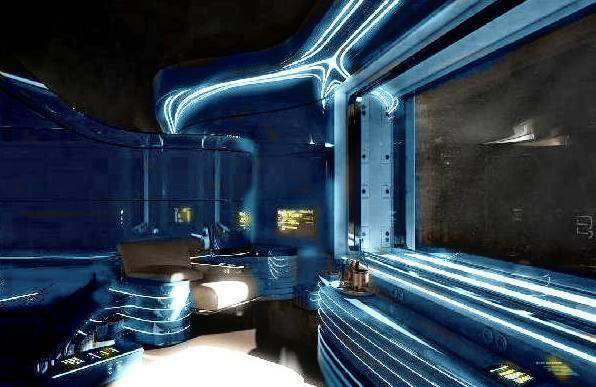 Both rooms also are furnished with a thermal bed, hologram projector, titanium secure dressers and a private bathroom. Much as most of the rooms on the ship, the Captain’s and Co-Pilot’s Quarters are completely soundproof. 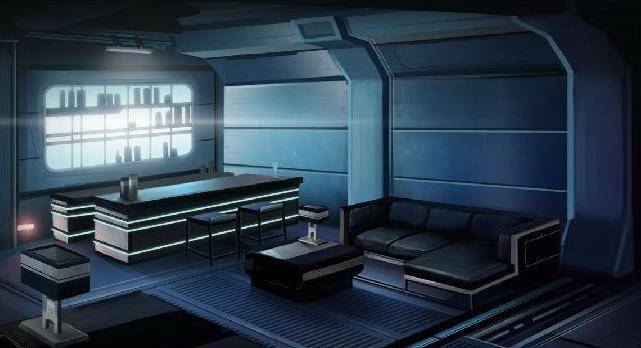 The Steel Witch’s lounge is a vital area of the ship for the sake of moral or to conduct meetings. The tranquil, blue room is one of the largest on the vessel. It has a fully stocked bar, several sleek couches and a sizable bathroom. A set of high quality speakers plays music lightly in the background while entertainment screens display one’s favorite shows. There is a set of motion sensors along with a hologram projector that allows crew members to engage in 3-D sports like pool, table tennis and hacky-sack. Both sidewalls also are linked to external nanite cameras which exhibit the outside stars from the safety of the lounge’s chairs. The ship’s elevator is also located within the lounge’s lobby, taking crew down to the lower deck. The lift can be turned off in case of emergency through the cockpit or Captain’s command. It can lift two people comfortably or three tightly. It has a tiny ring of guardrails which protects clumsy passengers from falling out as the platform moves. The lounge is located between the main halls and flight deck. It has two doors that lead to each corridor, one that leads to the gun turret and another opposite side that allows access to the flight area. Crew must pass through the lounge in order to enter the piloting area, making it a high traffic zone. 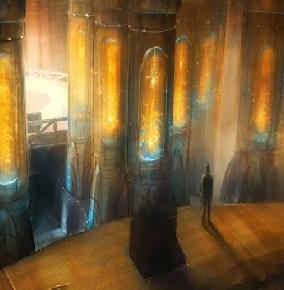 The top deck halls of the Steel Witch are bare, steel corridors with a soft light that illuminates the walls. Each door that’s connected to the hall is vacuum sealed in case of emergency. The hall is also the main route in order to access the lounge, crew quarters, sick bay, engine rooms, main thruster and side decks. 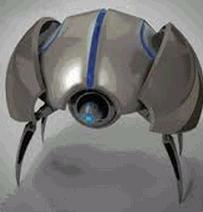 It has small nanite cameras linked to the cockpit in order to monitor traffic. The hall has a u-shape pattern with small wings on each end that lead to the side decks. 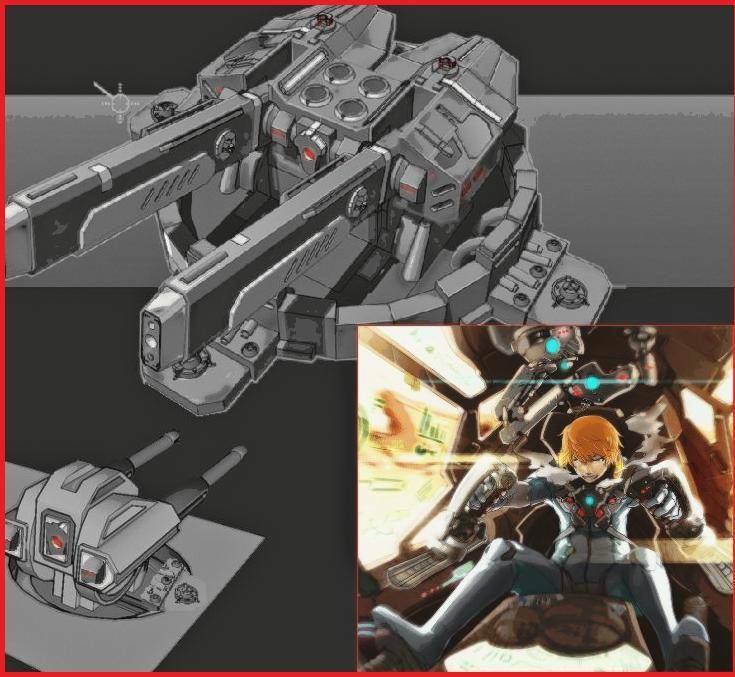 The Turret Hall and Gunner’s Deck are designed for a user to manually operate the ship’s main defense weapon. Though the plasma turret can also be controlled from the cockpit, studies show that most large vessels have better success when a gunner is jumped-into an operating counsel. 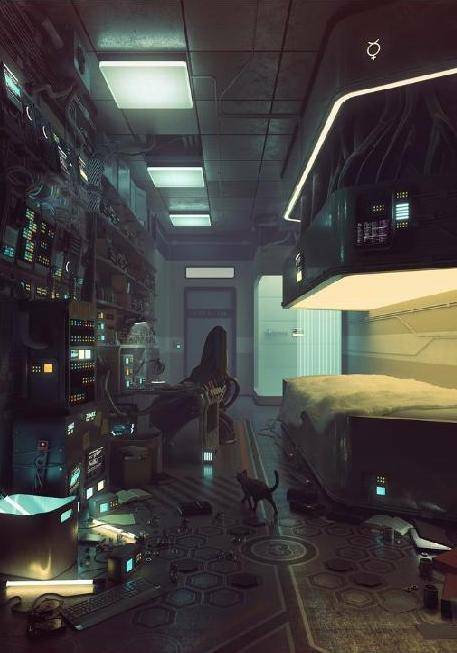 The hall that leads to the room houses the electronics of the device, but it’s the room beyond the secure door that houses the controls. A lone user can jump into the single-seated cockpit, using screens and sensors surrounding the counsel to gun down enemies. While the gunner’s seat is located safely inside the ship and under the retractable turret, hydraulic gears allow them to move with the turret for better perspective. In essence, the gunner feels as if they have “jumped into” the gun, acting as a single unit. Access the gunner’s deck. Only permitted individuals are allowed in the Gunner’s Deck which can be designated by the Captain or Co-Pilot. The Turret Hall and Gunner's Deck are located in the center of the Top Deck and are only accessible through the lounge. The Crew’s Quarters are six individual rooms designed to snuggly, but comfortably, house the ship’s crew. Each one is furnished with a thermal bed, clothing shelves, condensed kitchen and compact bathroom. They also have surround sound audio, entertainment screens and personal computers. Each room is soundproof and can be locked from the inside, but such locks can be overridden by the Captain if needed. Every room also has a small intercom system which allows them to communicate other users or anyone outside their door. Each room can also house a small pet if permitted by the Captain. The Sick Bay is a medical station designed to help care for injured, ill or stressed crew members. It has diagnosis equipment, recovery beds and medical storage facilities inside. It also has a surgery table which can be transformed into a contamination cradle for victims of contagious disease. The Sick Bay can comfortably treat two people at a time, but if injuries are not life threatening, most crew is allowed to be treated in their personal rooms. 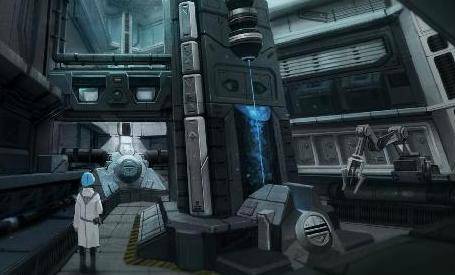 The Sick Bay is usually managed by a doctor, nurse of physician, but can also be cared for by medical drones, though the robots are far less effective when caring for unknown maladies or psychological ailments. 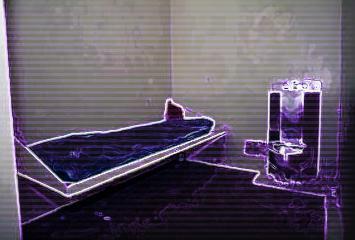 The Sick Bay is also required to be the most sterile room and is often visited several times a day by any cleaning drones. 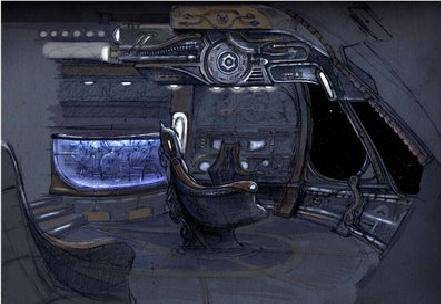 The Steel Witch’s Sick Bay is located in the central part of the Top Deck and is accessible from its single door near the back of the ship. The door can be locked from the inside, but the security device can be overridden by the Captain or Co-Pilot if deemed necessary. The Side Decks are important parts of the ship for both storage and to accommodate the side-thrusters. 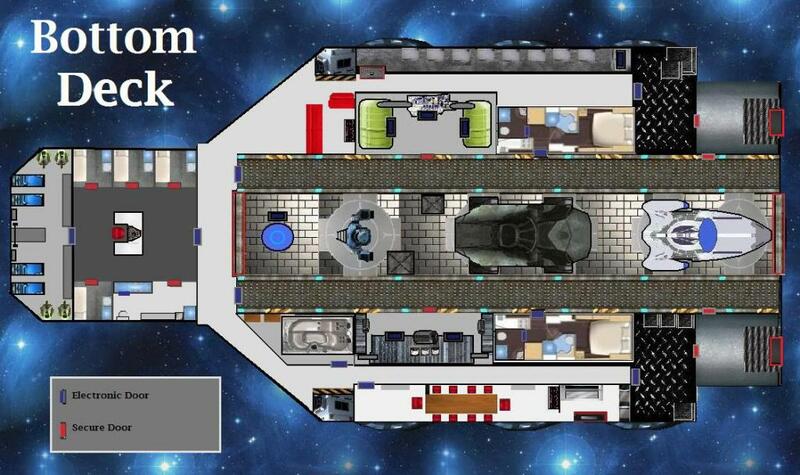 Both Side Decks can be filled with multiple tons of cargo, be it food, resources or passengers. 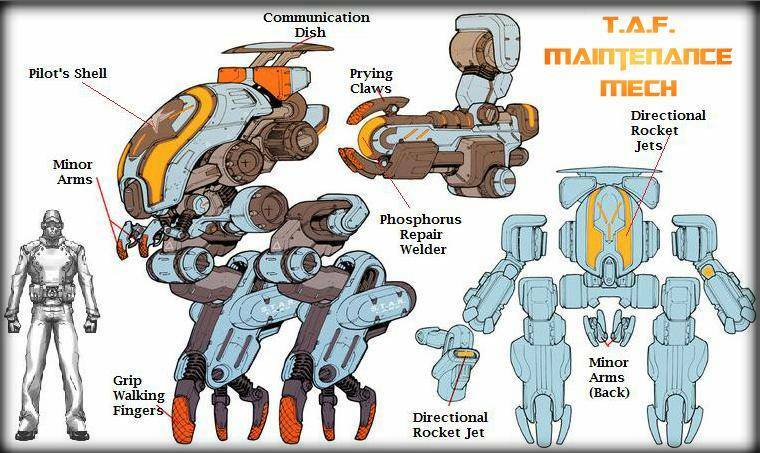 The six side-thrusters’ mechanical and electronic gears are accessible from along the outside walls for upkeep, repairs or maintenance. Besides storage and technical equipment, the Side Decks are also used for activities, exercise and training. Both Side Decks are kept at sixty-degrees Fahrenheit in order to keep the internal parts of the thrusters cool. The Side-Decks are located on the sides of the ship. They have secure doors that gain access to the engine rooms and main hallways. The Side Decks are also where four single-person escape pods are stored (2 per Side-Deck). These pods are not as spacious as the Bottom Deck escape pods, but vital nonetheless. Passengers can slide themselves into the tube shaped pod and release themselves into space's atmosphere in case of an emergency. These single-person escape pods do not offer food or water and have primitive steering mechanisms. Most single-person escape pods are used as a last resort and employed with hopes that rescue crews will come to aid. They have basic parachute deployment if the user wishes to steer the pod into a nearby planet's atmosphere. 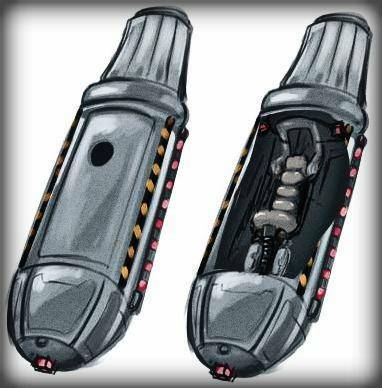 The single-person escape pods have enough oxygen for four days or less (depending on creature's size). The Engine Rooms are split into three different quarters. The left and right wings are only accessible from the Side Decks and store the plasma-generators for the side thrusters. Without these engines, the Steel Witch could not make her spectacular horizontal, 180° or 360° turns. Plasma engines (aka Helicon Thrusters), unlike ion (LiLFA) engines, require a great amount of maintenance and must be inspected daily. These rooms are both protected by vacuum sealed secure doors and kept at a 60° Fahrenheit temperature in order to keep the sensitive engines cool. The third Engine Room houses both the Ion Thruster and Interstellar Engine. An ion thruster is a form of electric propulsion that creates thrust by accelerating ions. Since it uses stable gases as a propellant, it is far more dependable and sturdy than Plasma engines (Helicon Thrusters). The Interstellar Engine is also located in the center Engine Room, sharing the Ion Thruster’s power cell when required to perform its duty. 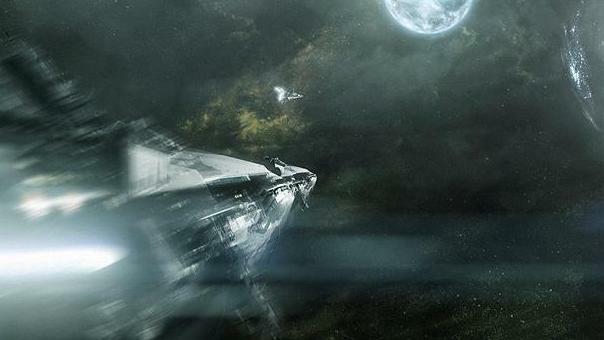 Both the Ion Thruster and Interstellar Engine are made of Tungsten and quite durable. Though their tiny, intricate parts may occasionally need repair, the core counsels’ design enables the thruster and engine to last for decades without replacement. The Ion Thruster/Interstellar Engine Room is located in the back of the ship, accessible only from a secure door located in the main hall. The Steel Witch’s bottom deck is a bit more rugged than the upper floors. It has a fitness room, holding cells, the safe room/armorey, mess hall, main hallways, side hallways, vehicle garage, vacuum rooms, recreation section, hydro-therapy tub, water filter chamber, air filter chamber and spare bedrooms all inside it. The bottom deck also is home to the main escape pods which can hold five people each within their shell. The fitness center offers a state of the art gym with gyro-tread machines, virtual fitness devices and electro-therapy grids. It also houses biological sensors that monitor the user’s vitals, work load and fat intake. This ensures that the crew are always in top physical shape or suggests activity that would help bring the person to their maximum capability if still lacking. Just a thirty minute intensive work out session is all that is needed each day to keep users at their peak, though a nourishing diet and healthy lifestyle are still required to make conditioning completely successful. The Fitness Center allows a character who is attempting to improve the Strength or Agility attribute from range 1D-5D to roll an extra 1D6 when making their contested "Improving Attribute" check. It can not help a character improve beyond 5D (see Terran Equipment for other possible methods). The Holding Cells Section offers a small guard office, four holding cells, and a full bathroom. 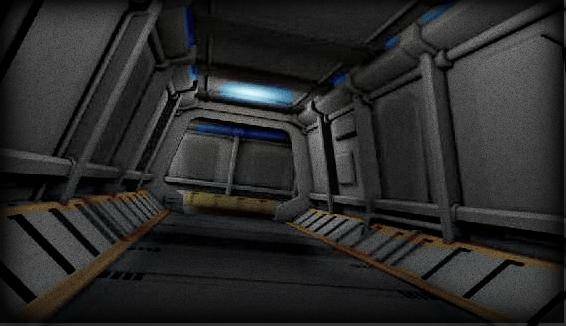 The office has a set of nanite cameras that provides a full 360 degree angle of the four prison compartments. The rooms also monitor heart rates and activity to ensure the attained are safe. The cells are simple, with a twin bed, chemical toilet and floor sink that offers rationed hydration (enough for drinking or hand washing, but not enough to drown). It also has a second, retractable top bunk bed (from wall) which can be pulled out with a push of the guard's control button if the prisoners are trusted to room together. Finally, the bathroom, which is provided so that a guard can be stationed for prolonged amounts of time, has a watered toilet, full shower, sink and storage so that security can remain comfortable during their elongated shifts. The main hall is a u-shaped corridor with heated steel floors and reinforced walls. It leads to the safe/armory bank, water filtration system, air filter system, mess hall, air vacuum rooms, side halls and garage. It also is where the larger escape pods, recreation sofas and hydration therapy chamber are kept. The Main Hall is the only way to enter the garage, which is protected by an air-sealed door that only opens if the ship exit is closed. 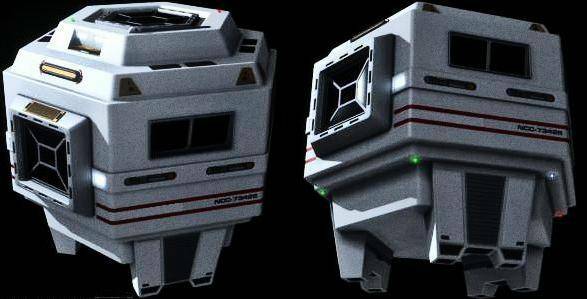 The large escape pods are much more efficient then the smaller escape pods located on the upper deck. 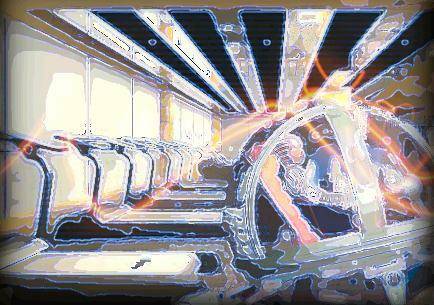 Located on each side of the lower deck, each allows for up to five passengers, one which must pilot the rig. 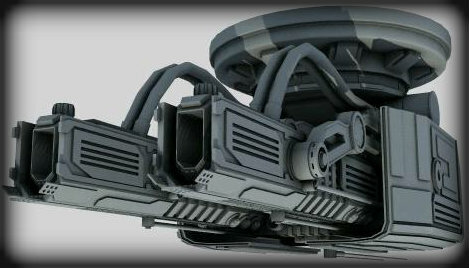 The thrusters of the large escape pod are positioned on both the top and bottom of the transports, providing a 360 rotation for each thruster that allows for basic steering. Both escape pods offer basic protective shields, but no weaponry or faster-than-light capabilities. It provides basic landing equipment through reinforced parachutes, extendable legs and shock absorbers. 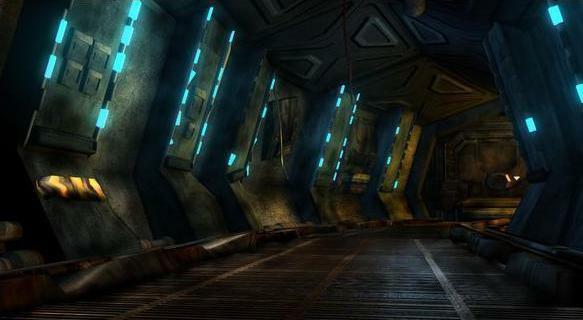 The side halls are a set of parallel halls that run across each side of the ship. They are reinforced with tungsten and chemical resistant chemicals so that they can provide maximum fortification within emergency situations such as radiation storms, meteor collisions or ship combat. The halls are much more drab then the main halls of the lower and upper level, lit up only by bio-illuminating emergency lights. The halls only lead to the spare bedrooms and vacuum rooms, but also provide a foundation for the garage that stores most of the ship’s dangerous equipment. 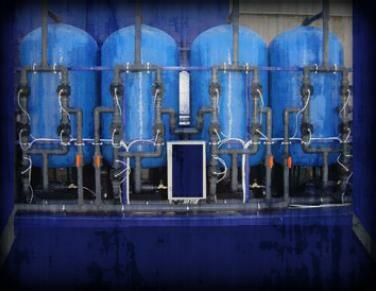 The Water Filtration System is located within a small, waterproof storage space on the starboard of the ship. It has chemical filters to clean hard water (used for showers, sinks, toilets and spray hoses) and biological filters to clean drinking water. The Water Filtration system can clean up to 99.9% of all contaminants and provides enough water for a crew of 8-16 human sized people. If the water filtration system is damaged, it has enough clean water at one time to last for 3-5 days depending on rationing. The Air Filtration System is located within in a small, air sealed storage space on the port side of the lower deck. It has biological filters that clean up to 99.9% of all air contaminants while simultaneously eating harmful dusts within the atmosphere. It can recycle carbon into oxygen within a matter of seconds, allowing crew to breath safely within the confines of the ship no matter which room they may be in. The air filtration system also heats or cools air according to its settings and has enough clean oxygen to keep a breathing crew alive for 1-3 days depending on the size of the crew. 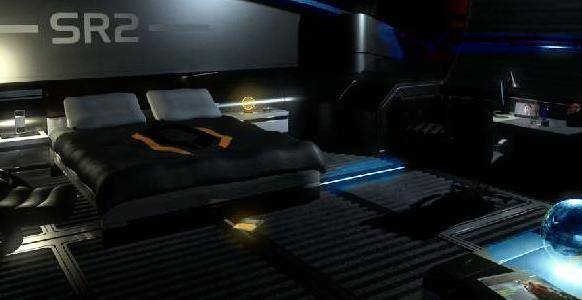 Much as the crew’s quarters on the upper levels, the spare bedrooms are two individual rooms designed to snuggly, but comfortably, house the ship’s crew. Each one is furnished with a thermal bed, clothing shelves, condensed kitchen and compact bathroom. They also have surround sound audio, entertainment screens and personal computers. These rooms also has a small intercom system which allows them to communicate other users or anyone outside their door in the side halls. Each room can also house a small pet if permitted by the Captain. 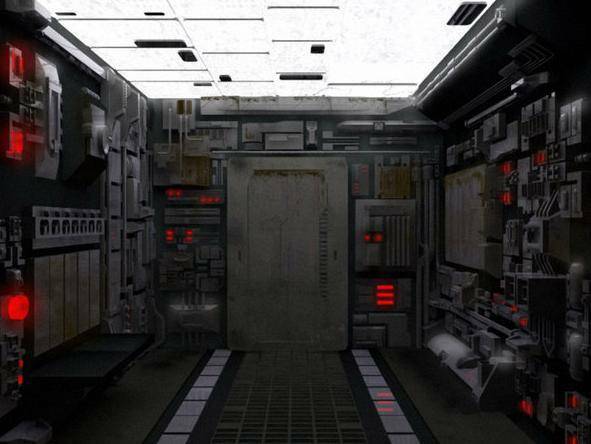 The Safe Room and Armory is a single, long room guarded by a reinforced secure door that holds eight individual security safes (roughly the size of a coffin sized locker). Each safe has its own entrance code and can be used for crew to hide their most prized possessions. The Safe Room/Armory also has multiple wall shelves and clasps that can display up to fifty firearms for easy retrieval. Extra space is available along the floor for storing larger items, but such items are not fastened in place. 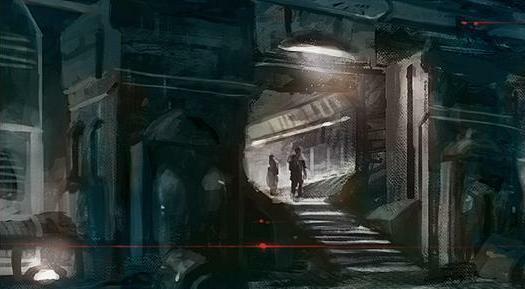 The mess hall is a long corridor divided into two sections by a small air wall. The first section is the dining area where a long table and chairs allow for crew to eat. Entertainment screens are posted along the wall for those who wish to watch television while dining and a small, table top cleaning drone wipes up messes that leave any cup or plate. The second part of the Mess Hall is much smaller and provides appliances to cook with. A stove, refrigerator, oven and utility cabinet allow for people to warm up leftovers or create culinary masterpieces. The Mess Hall provides a 1D6 equipment bonus to any "Know-How" checks orientated with cooking. The Vacuum Rooms are located on each side of the lower deck and are a two part area. The first area is enterable by the main hallway only and is used for storage. It is also where the space exploration suits can be found within special wall compartments (6 in each room). A second door leads to the subsequent vacuum room that allows people to leave the ship without forcing the ship to lose cabin pressure. This room can only be accessed through its secure door if the outer access entrance is first sealed. 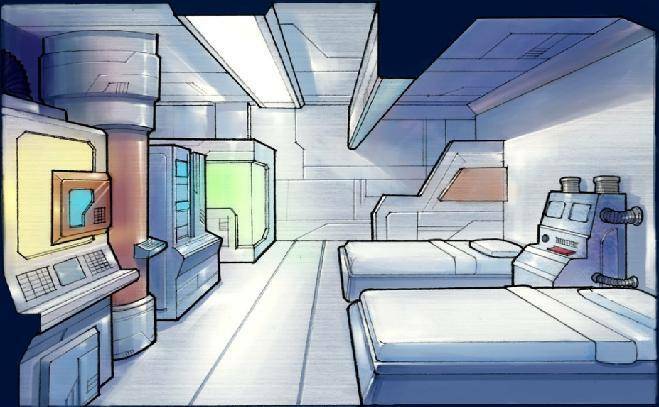 These subsequent vacuum rooms also have both Boarding Tubes (p.31 Ships) and retractable stairs which extend onto planet or space port surfaces for easy exiting. The Garage is the largest room on the ship. 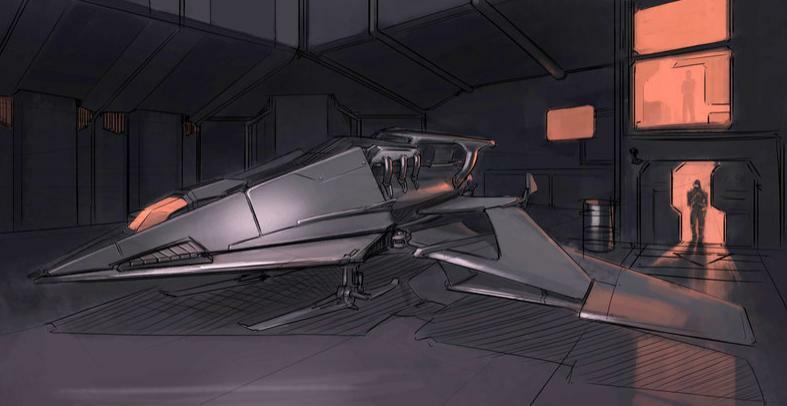 It is a tall, stretched corridor where up to five personalized vehicles (hover bikes, mech-bots or large drones) can be stored or two large transports (fighter ships, cars, small boats) with a personalized vehicle to spare. It has several storage units for tools, fuel and equipment across the walls plus a catwalk to work on taller vehicles. The room is vacuum sealed and can not be entered from the main hallway unless core outer space door is shut. The garage is also the only area where people can enter the upper deck, using the sealed elevator to go up and down. ARMORED ALL TERRAIN TRANSPORT "MAD CAT"
The H.O.V. Knight's Squire is a three piece system originally designed to assist Empyrean Legion trainees in improving their targeting skills. The equipment uses a sensor rigged bodysuit/digital-rifle to both supply the user with virtual reality environments and monitor progress. The third piece, a targeting drone, is linked to the suit and equipped with detectors that analyze the shooter's accuracy. The drone can be programmed to digitally appear as anything the subscriber may want to fight, from enemy pirates to monstrous aliens. It also takes in the room or area that the user is actually training in, adding it to the trainee's sites, as to help them avoid injury from spacial blindness. The H.O.V. Knight's Squire can help a single user improve in Energy Weapons or Firearms as if they had a trainer. It can act as an instructor from 1D-8D, before being unable to assist. While the suit was originally developed by the House of Veneration, these suits can be found nearly on any military training facility, as it is the top virtual troop instructor in the Milky Way galaxy. The A-4 Training Drone, aka "Dodge Ball", is a floating drone equipped with harmless laser projectors that hone in on nearby targets, firing at them with beams of light. The ball fires at anyone wearing a special wrist band (comes with 4 bracelets per purchase), and its difficulty setting can be altered to appropriately. The Dodge Ball is sold in four different types, Beginner, Moderate, Difficult, and Ultimate. Each helps users become more custom to dodging energy weapons, requiring only minimal space for practice. This training software can serve as a Linguistics Trainer for any Character who natively speaks Altarian or Novacon. 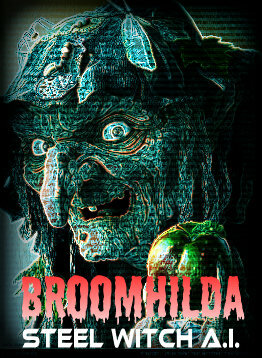 Broomhilda, aka A.I. 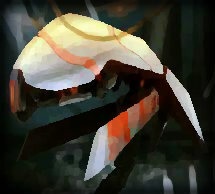 2902, is an advanced Artificial Intelligence installed into the Steel Witch’s computer system for assisted operations. In order to complement the Steel Witch’s theme, A.I. 2902 was programmed with an synthetic personality called “Broomhilda”, a persona that mimics a crone-ish English Hag from the Dark Ages. Her voice, demeanor and line of thought are all molded to better reflect the nasty fiend designers had in mind. While Broomhilda is a venomous, backbiting A.I., her decision making software has been encoded to be more passive (allowing the Captain to make most of the decisions). She is however, instructed to take whatever necessary precautions are needed to salvage the ship. 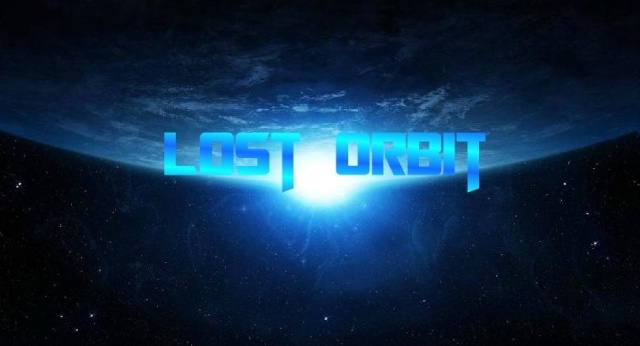 This means that crew are not a priority, and are considered an acceptable loss in order to save the Steel Witch. Broomhilda is also programmed to answer incontestably to its Captain. That means that unless the ship is ordered to fly directly into danger (99.9% chance of vehicle termination), it will obey the commands of its leader. The Captain may also offer certain command rites to his crew, but his/her word will always supersede the team’s. All of these commands can be linked to any electronic or computerized equipment attached to the ship (from blenders to ship shields). The following is a list of standard commands available to specific crew members. Extraordinary Memory (-1D): This AI can recall long ago events or esoteric facts with ease. In game terms, she gains +1D to any Knowledge-based skill roll. Argumentative (+1D): This character constantly plays the devil’s advocate. She rejoices when an exploitable situation arises, arguing though she sometimes agrees with her adversary. The argument becomes a game, a strategic contest of wills. This training software can serve as a Medicine Skill Trainer for any Character. These floating drones use hover technology to help them get to otherwise unreachable locations. These tracked drones use treads to manuver about the ship while performing various cleaning tasks. Mounted on a rotating turret, and wired to the cockpit, the underbelly laser cannon is a strong space defense weapon that does not require full immersement to completely engage. It has a standard targeting system (+1D Gunnery) which can be used from the pilot, co-pilot, or side-deck chairs inside of the cockpit. The Magnetic Grip is a simple, but effective feature that uses computerized magnets to attach a large amount of weight to other metallic surfaces. This is typically used for vessel towing, hornet class fighters that need to park on the surface of their carrier ship, or specific vehicles that are required to park on the exteriors of massive buildings. Magnetic grips are typically installed on the keel or hull of a space craft. They are strong enough to hold one ship that has been programmed into the magnet-software for weeks without falter. However, slippery surfaces, ice, or other obstructions can make the magnetic grips difficult to use. Magnetic grips do not need power once activated. They can be challenging to use without tractor beam technology, requiring a difficult piloting check or greater to park on buildings, large ships or other surfaces without assistance. Magnetic grips take 24 hours to install or uninstall IF the user has a maintenance dock. The Captain owes a lot of capital (or something else valuable) to someone dangerous, or the results of owing this debt are dangerous. For example, the character could owe his life to a really strange old scientist, and, every time that person needs a favor (usually going off somewhere dangerous and doing something suicidal), the character has to drop everything and go. The Hexisan Stealth Generator is a state-of-the-art cloaking device perfected by top Hexisan engineers. Using the latest in Hexisan advancements, the Steel Witch can practically turn invisible to all but the most sophisticated computers. While device jammers can leave a starship undetectable to scanners, the Hexisan cloaking device actually generates a cloaking field that completely absorbs all incoming sensor scans while shielding the ship in emissions of reflected energy, thus rendering it concealed to both technology and the naked eye. Any ship using its sensors or trying to physically perceive the ship (unless using a Hexisan Negative Mass Detector) must succeed in an unopposed "Heroic" difficulty check of 31 or greater to spot/detect the vehicle. However, if by chance, the ship attempting to detect the cloaked vehicle has a Hexisan Negative Mass Detector (very rare), then the unopposed sensor check needs only be only "Difficult", DC 20 (as the stealthed ship is still foggy on sensor monitors). The Hexisan Stealth Generator can stay active for 24 hours before needing to recharge for a full day, and can not use its interstellar/intergalactic engines while in this mode. In addition to its +3D piloting check advantage, the Hexisan Side Thrusters may also turn the vessel left or right at a 90 degree angle without having to turn its face in the chosen direction. 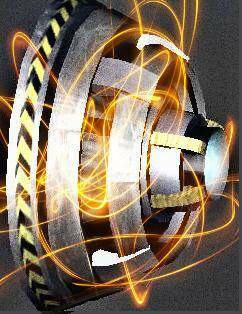 These thrusters are highly advanced and mostly only found on high grade Altarian, Novacon, and Balidar ships. The ship is blessed with unusually good luck. Once per adventure, a character piloting the ship with Good Luck can receive one of the following benefits just by asking for it. action: Add 2 to all of the character’s skill or attribute totals for the round. alertness: When the character calls upon this benefit, he gains a special “sixth sense” outside of all other rules and roleplaying situations that will help him to spot a previously unseen item, character, or clue selected by the gamemaster. The benefit does not confer omniscience, however — and the gamemaster can select her own time for having it come into effect. It is normally used to allow a character to spot something he missed in a previous search, something that is important to the adventure. breakthrough: Add 1D to any one skill die code in which the character has no additional pips or dice (in other words, a skill in which the character is untrained). The benefit also eliminates the unskilled modifier for using that skill. haste: Gain one additional action for one round. hero: Receive one bonus Fate Point, which must be used on an action immediately after requesting it. the effects entirely. The opponent’s action is then wasted, and play continues. This benefit may not be used to cancel an action that is not directed at least partially at the lucky character. second chance: Using this benefit allows the character to attempt any action she has just tried again, from the very beginning. Relying on this benefit, however, may not be used to negate “bad choices” — the action performed must be performed again — nor does it allow the character to “get back” Fate Points, Character Points, or cards (if used) spent on the original action. The character merely gets another chance, immediately following the first attempt, to perform the action again. All effects from the first attempt are negated.